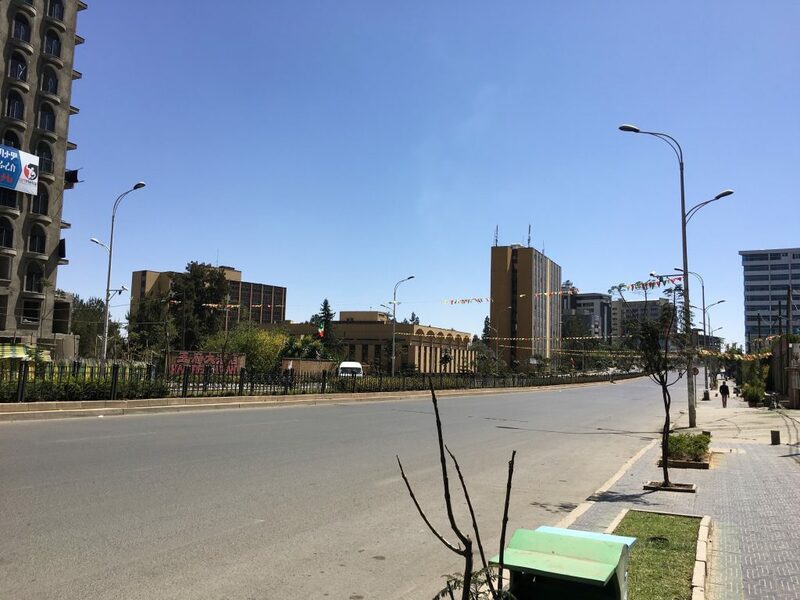 Thanks to the Global South Doctoral Fieldwork Research Award from the International Relations Department at the LSE, I visited Addis Ababa, Ethiopia, earlier this year to conduct fieldwork interviews for my PhD. Timkat—the Ethiopian orthodox celebration of Epiphany—and the 28th African Union Summit welcomed me to a deserted city, at first, and to one where traffic was halted for hours so that cars with Presidents of all 55 member states could circulate freely, in the following days. Whilst African leaders failed to elect a new chairperson during the 27th Summit last year in Kigali, Rwanda, this year’s proved more successful: in January, Chadian diplomat Moussa Faki Mahamat became the new leader of the AU Commission, and Morocco was finally readmitted to the Union after 33 years (the country left when the AU recognised the independence of the disputed territory of Western Sahara). After over a week since my arrival and when the Summit-chaos finally settled, I could begin reaching out to officials to arrange for the interviews. Anyone in the social sciences whose research is based on interviews knows how simultaneously frustrating and rewarding such process can be. As far as my thesis is concerned, talking to the relevant people could give me nuances and insights which official documents would never be able to provide. My PhD focuses on China’s approaches to the African Peace and Security Architecture through multilateral forum diplomacy. In particular, I look at different discourses and narratives utilised in the context of the UN Security Council on the one hand, and African Union and FOCAC (Forum on China-Africa Cooperation) on the other hand. Ultimately, I aim to compare how these two levels—the international and the continental/regional—differ and bear similarities, and how they fit into China’s broader strategy to become a global normative power. Gaining access to personnel working at the AU Peace and Security Department was therefore essential to explore the African perspective. 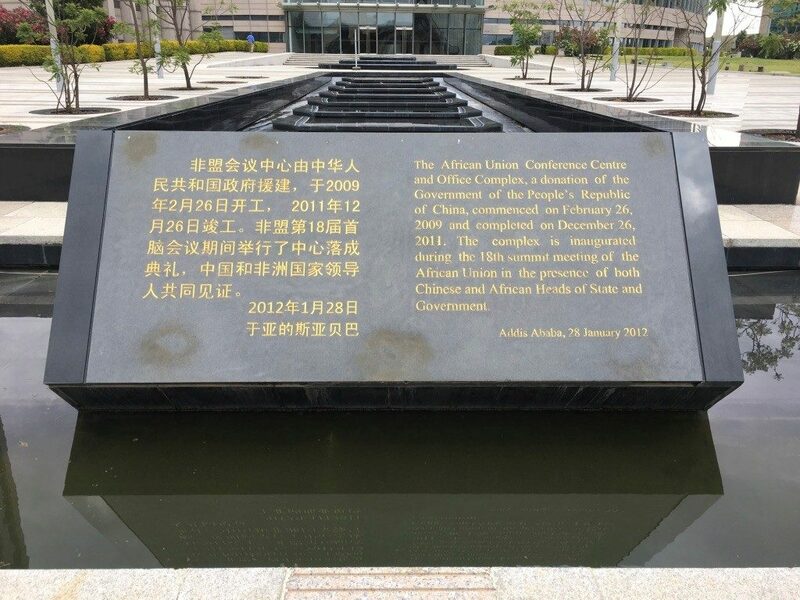 After the first couple of weeks (and about a hundred emails and phone calls) I managed to secure a visitor pass to the AU headquarters, situated in a shiny new building financed by a Chinese construction company in 2012 for 200 million USD. A plaque in front of the new building symbolises the ‘donation’. 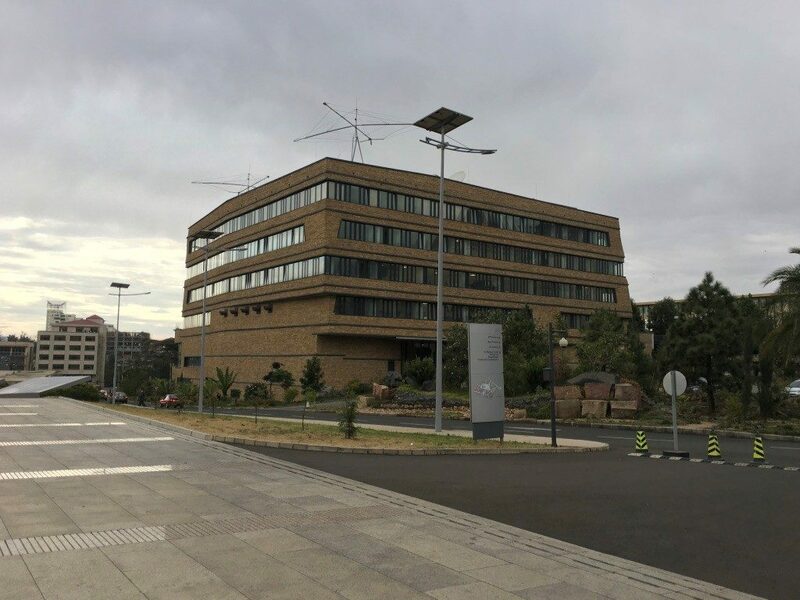 Everyone was extremely busy, not only because of post-Summit tasks, but also because the Peace and Security Department itself was just in process of moving from the old Conference building, to the new offices, recently completed thanks to a donation from the German Federal Foreign Office. For over a month, amidst dusty boxes and piles of yet unread documents, I had long conversations with both low and high level officials working there, including Ambassador Fred Ngoga Gateretse (Head of the Conflict Prevention and Early Warning Division). Something that all people had in common was a genuine openness and willingness to talk to me and answer my often-provocative questions. This was undoubtedly the most valuable part of my stay: even though my thesis has a China-focus, none of the policies proposed by Beijing’s decision makers would be possible without Africans engaging in lengthy diplomatic negotiations. My stay in Addis Ababa proved to be an enriching experience, both from a research and a personal point of view, and it will add to my thesis practical and on-the-ground insights that one cannot gain by simply relying on written texts. The trip was made possible through the Global South Research Fellows fieldwork grant, awarded by the Department of International Relations, LSE. This entry was posted in departmental news, fieldwork reports, report and tagged awards, fieldwork reports, Global South Unit, student news. Bookmark the permalink.